Human Skull. In general, male skulls tend to be larger and more robust than female skulls, which are more gracile. 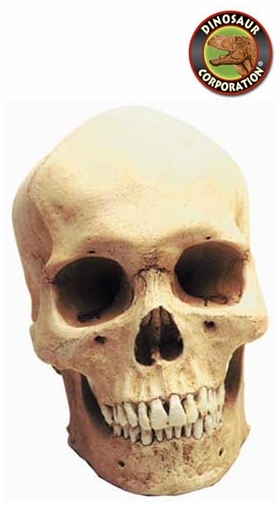 Male skulls typically have more prominent supraorbital ridges, a more prominent glabella, and more prominent temporal lines. Male skulls on average have larger, broader palates, squarer orbits, larger mastoid processes, larger sinuses, and larger occipital condyles than those of females. Male mandibles typically have squarer chins and thicker, rougher muscle attachments than female mandibles.